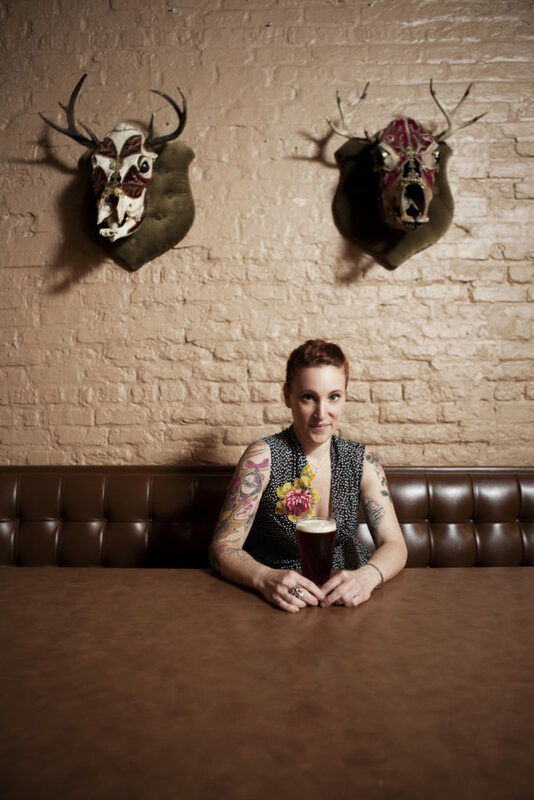 Mindy Segal is a legend among pastry chefs, both in her home city of Chicago and nationally. 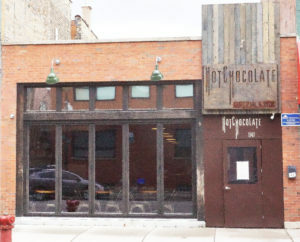 The winner of the 2012 James Beard Foundation Award for Outstanding Pastry Chef, she has delighted customers at Mindy’s HotChocolate — her full-service restaurant in Chicago’s Bucktown neighborhood — for 12 years. 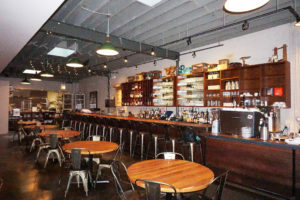 After graduating with a culinary degree from Kendall College, Mindy broke in as an assistant to Judy Contino, Chicago’s leading pastry chef of the day, at Ambria restaurant, and proceeded to hone her craft under such culinary leaders as Michael Kornick, Charlie Trotter and Erwin Dreschler. She became known for the excellence of her baking and the passion with which she pursues it. In the interview excerpted below, Mindy says that she has cut back on her time in the kitchen, but she certainly has filled it with even more passion projects. She wrote “Cookie Love,” a baking book co-authored with Kate Leahy; she launched a new business named Mindy’s Edibles, which produces delicious pastries infused with cannabis for people authorized to use medical marijuana (and which are sold through licensed dispensaries); and she opened Revival Bakery in downtown’s thriving Revival Food Hall. Mindy has known Chef Rick Bayless throughout her nearly three-decade career, and for many years has made cakes for all of the Bayless family’s special occasions. So she was an obvious choice to participate in the Frontera 30th Anniversary Celebration, a joint fundraiser for Chef Rick Bayless‘ Frontera Farmer Foundation and FamilyFarmed, which will be held at The Art Institute of Chicago on Sunday, April 30. 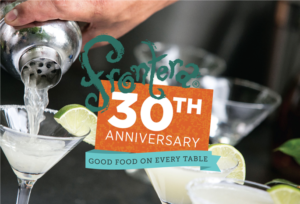 To learn more about the Celebration (which marks the 30th anniversary of Rick Bayless’ landmark Frontera Grill) and to buy tickets, please click here. FamilyFarmed: When you decided to go to Kendall College, did you intend to become a pastry chef? Mindy: No, I went to Kendall in the full knowledge and hopes that I would become a chef chef. When I did my internship, I did it at a hotel, and when you do your internship at a hotel, you go through the multiple departments, and when I went to the pastry department, it piqued my curiosity… I was interested in a lot of things, but I was very interested in pastry. So when I graduated from culinary school, I focused on pastry. FamilyFarmed: And obviously your talent was acknowledged very quickly. Mindy: I was acknowledged. You also have to understand that in the time that I was becoming a chef and learning my craft, there weren’t many pastry chefs. And I worked for Judy Contino at Ambria, who had a very big name for herself, and because she had a really big name, and because I was her assistant, I already had my foot in the door in a lot of places… I wanted to be really good at what I did. I wanted to be known and I wanted to be recognized and I wanted to be great and excellent. FamilyFarmed: You worked with some of the pioneers and giants, like Michael Kornick. Mindy: Before I worked with Michael and Charlie [Trotter], I worked with a man who I think was way more influential in terms of really introducing me to sustainable products, and the relationship between the seasons and the farmers. He was Erwin Dreschler from erwin. We used to go to the farmers market every Saturday at Lincoln Park, when that was the only farmers market and it was us and Rick Bayless. Nobody else, we were the only chefs. We used to go every Saturday morning, that’s when I met the Klugs [of Mick Klug Farm in St. Joseph, Michigan]. I’ve been doing business with the Klugs ever since. Really understanding seasonality and again how important it is to have relationships with farmers and to really understand where your food is coming from…. FamilyFarmed: So the local food scene was very, very different when you started. I just watched Sustainable [an informative and elegaic documentary about the importance of locally and sustainably produced food], and I didn’t even know I was in it, and I said, “Oh my God, it’s me! ” This is such a great documentary because it really explains scientifically the importance of sustainable food and really getting into this full-circle biodynamic sort of living… And really looking at the people who are dedicated to this whole movement. It’s almost like I feel it’s a requirement for all of the kids who work in my kitchen, you have to watch this, you have to know why it’s so important…. I’m at the farmers market still and I’m going to be 50. Every Wednesday and every Saturday, me and Jason Hammel [of Lula Cafe, who also will be cooking for the Frontera 30 event], we try to beat each other there. I still go, even if I’m not getting anything for my staff, I just go because I want to see what’s going on. I like the Green City Market, I love it, but there’s something to be said about just getting in your car and going to Michigan, and just driving the roads and looking at what’s happening. FamilyFarmed: Tell me a little about HotChocolate and how that came about. Mindy: My restaurant’s a restaurant through the eyes of a pastry chef. The name HotChocolate, one word, is not really the drink. It’s really the feeling of HotChocolate. It’s supposed to evoke sensuality and warmth. A little esoteric. I get it, but most people don’t. So the drink has evolved to be something really great in my restaurant, which is fine, because I really enjoy the sales that I have for the hot chocolates. FamilyFarmed: Thirty years ago in the restaurant business, there was very high end and there was McDonald’s and delis and basement ethnic places and things like that. One of the biggest developments is that we’ve developed a huge middle ground now and we have places where people can come in and feel comfortable, it’s not stuffy, but you’re still getting a James Beard Award-winning chef’s food. FamilyFarmed: One of my biggest things is food as an economic development driver. And certainly Bucktown, Wicker Park, when I first started coming to Chicago, these were neighborhoods that people told me to avoid. Mindy: When I first opened my restaurant, this was not a great neighborhood. But I lived in Bucktown and I wanted to open a restaurant in Bucktown. I drove past this space all the time and I said, I want this space, and I got it…. FamilyFarmed: Your career took another turn recently with Mindy’s Edibles. Where did the idea of that come from? Mindy: When the law was passed that medical marijuana would become legal in Illinois, it’s a burgeoning market and a lot of companies that were cultivating or had dispensaries or anything that had to do with this medical marijuana field in Illinois… I was approached by Cresco Labs, and their vice president of operations was like, let’s do something crazy, let’s have an edible company. And let’s do something crazy, let’s get a chef on board… I am and always have been an advocate for legalization of marijuana. Honestly, the first interview I had when we made the announcement was the best statement I ever made: Why am I doing this? I’m doing this because it’s extension of what I do now. I’m just making people happy. I’m helping people, I’m making people feel good… I create the products and they are good. They are really good and there are a lot of them. We’ve grown quite a bit and we’ll be national by the end of the year. FamilyFarmed: I read that you have been making Rick’s birthday and annivesary cakes for years. Mindy: I have, forever. I don’t remember, he just called me years and years and years and years ago, they called me and asked me to do a cake, and I’ve been doing them ever since. I did [daughter] Lanie’s wedding cake. It’s a huge honor. When I did a wedding cake tasting for them, I told them about the philosophy behind the cake I wanted to do for Lanie and Deann [Rick’s wife and business partner] is sitting there crying. It’s really beautiful. I’m honored. I take the role very seriously. I also own a bakery at Revival Food Hall. It’s a really great bakery. I highly recommend going and checking it out… There’s a farmers market across the street from Revival, so it’s fun, we go over there with our little cart. I love my bakery…. I have a chef there who’s worked for me, and we make bagels and breakfast pastries and cookies, it’s a bakery. I’m very proud of my bagels. This entry was posted in Awards, Baking, Chef advocacy, Direct Farm Marketing, Family Farms, Farm to table dining, Farm to Table: Keeping It Real, Farmers markets, Food and community, Food and health, Food documentaries, Frontera 30th Anniversary Celebration, Frontera Farmer Foundation, Good Food and economic development, Good Food Dining, Good Food restaurant trends, Good Grain, James Beard Foundation Awards, Local Food, Restaurants and Good Food, Sustainable dining and tagged Charlie Trotter, Chef Jason Hammel, Cookie Love cookbook, Cresco Labs, Erwin Dreschler, FamilyFarmed, Frontera 30th Anniversary Celebration, Frontera Farmer Foundation, Frontera Grill, Green City Market, James Beard Foundation Awards, Judy Contino, Kendall College, Lula Cafe, Michael Kornick, Mick Klug Farm, Mindy Segal, Mindy's Edibles, Mindy's HotChocolate, Revival Bakery, Revival Food Hall Chicago, Sustainable food film. Bookmark the permalink.